The United States government has levied economic sanctions against a Chinese military agency and its director over the purchase of Russian fighter jets and surface-to-air missile equipment. According to a statement from US State Department spokeswoman Heather Nauert, China’s Equipment Development Department and its director Li Shangfu purchased 10 SU-35 combat aircraft in 2017 and S-400 surface-to-air missile system-related equipment in 2018. The military agency reportedly purchased the weapons from Rosoboronexport, Russia’s main arms exporter. The purchase violated a 2017 law dubbed the Countering America’s Adversaries Through Sanctions Act. 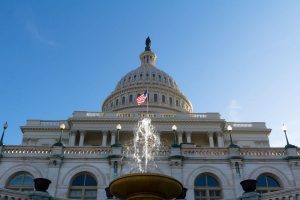 Members of Congress passed the sanctions bill nearly unanimously. President Donald Trump recently issued an executive order intended to facilitate implementation of the sanctions. The law was written to punish Russia and its agents for meddling in the 2016 US election, for its aggression in Ukraine, and for its involvement in Syria’s civil war. Russia has denied any effort to meddle in US politics. China has demanded the US cancel the sanctions. Chinese Foreign Ministry spokesman Geng Shuang stated, “We strongly urge the US side to immediately correct the mistake and rescind the so-called sanctions, otherwise the US side will necessarily bear responsibility for the consequences.” He did not elaborate on what those consequences may be. In addition, the US also blacklisted another 33 people and entities associated with the Russian military and intelligence. The list now contains 72 names. Being on the list triggers a ban on entering the US, forbids the conducting of transactions with the US financial system, and blocks all property and interests in property within US jurisdiction.